Until we can set up our SLI of GTX 970s, here are a few more gameplay videos of Project CARS captured with our current rig (i5 4670K @ 4.0 GHz, 8 Go RAM, Windows 8.1, Nvidia Geforce GTX 970 Gigabyte OC) and wheel (Fanatec Porsche 911 Turbo S). The settings we used are [url=]these ones[/url], so mostly ultra with a few graphics options on high. As a big bonus, BenBuja, a member of the World of Mass Development forums, sent us an impressive gameplay videos he recorded in 4k with his own SLI of GTX 970s. If you want to follow him, check out his YouTube channel. SLI issues? Doesn't sound promising... At least there seems to be a SLI profile. Just got my two Titan X delivered today as a replacement for three 980's. Should be good enough to get 60fps at 4k ultra. IMO 30fps at 4k is even worse than at 1080p. Miguel has had no SLI problem whatsoever, he played the game yesterday with detailed grass. It's clearly nothing, maybe it's been patched already since Bubuja captured his video. Remember this is still WIP, I'm sure the SLI issues with detailed grass will be fixed by release. Thanks for infos! Still busy with the Ring in Assetto Corsa, thanks again for the recommendation Driftwood, it's really well done. 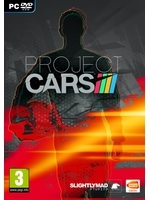 Will get Project Cars as well, for variety and because it does look really good in these videos. You're most welcome. Glad you like it. So far it looks like a really fun game. The only two things that still need work imho is the jerky steering wheel animation and the overly crispy picture sharpness that makes it look maybe too realistic. And as always, thanks for the quality videos. Got my GT Omega Racing cockpit ordered and T300...Roll on the release date!! steering wheel animation needs to be slower because its jerking. also not all the textures look good,some blurred some super sharp(in car). still looks amazing graphically but driving games aint for me. Is this only a tarmac racing game? Any rallying? Nope, just tarmac. There are two point A to B tracks though. driveclub's rain has seriously spoiled me. the windshield rain just looks bad. also, what determines the DOF effect while racing in cockpit? in the "Race (20)" footage it seems to have a mind of its own. I wish people would stop comparing the weather effects to Driveclub. Project Cars is doing so much more in every other department for its weather to look as great as it does is exciting. I wish people would keep DC out of Sim threads all together! I like how there was no mention of Driveclub and then BOOM! "I wish people would stop comparing... Driveclub..."
Clearly we all agree Driveclub was visually fantastic, otherwise people would shut up about it and forget it. Eh? Korndog brought Driveclub into it. F1 games on last gen consoles have better weather affects and look great IMO. Although those were at 30fps. These videos look pretty good but if you look other ones it is kinda disappointing. The graphics are great and easily the best looking sim created to date. Ruh-roh Shaggy. Definitely overlooked that one. My bad. Though Driveclub is still fantastic lol. Hoping Project Cars gives me something else to talk about. 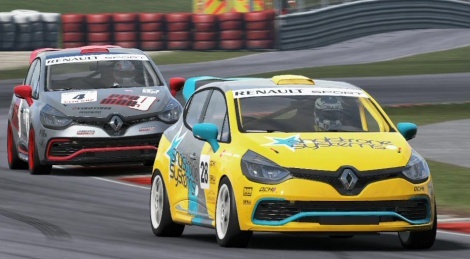 As far as consoles sims PCars is going to set the bar. Forza 6 better step it up or they'll be left in the dust.